Allergiplex by Seroyal works extremely well for me on seasonal allergies without a lot of additional side effects. 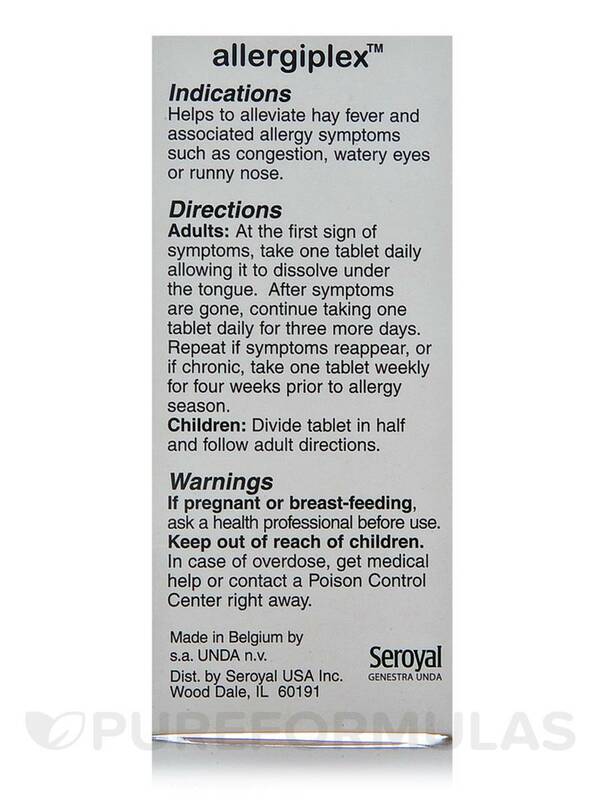 Allergiplex by Seroyal relieves my head congestion lets me breathe easier no after-effects. Lasts throughout the night--usually take at bedtime. Allergiplex gives me all the control I need of allergy symptoms any time of year. Just as important there are no side effects! I would recommend Allergiplex for anyone struggling with indoor or outdoor allergies. Adults: At the first sign of symptoms‚ take one (1) tablet daily allowing it to dissolve under the tongue. After symptoms are gone‚ continue taking one (1) tablet daily for three (3) more days. 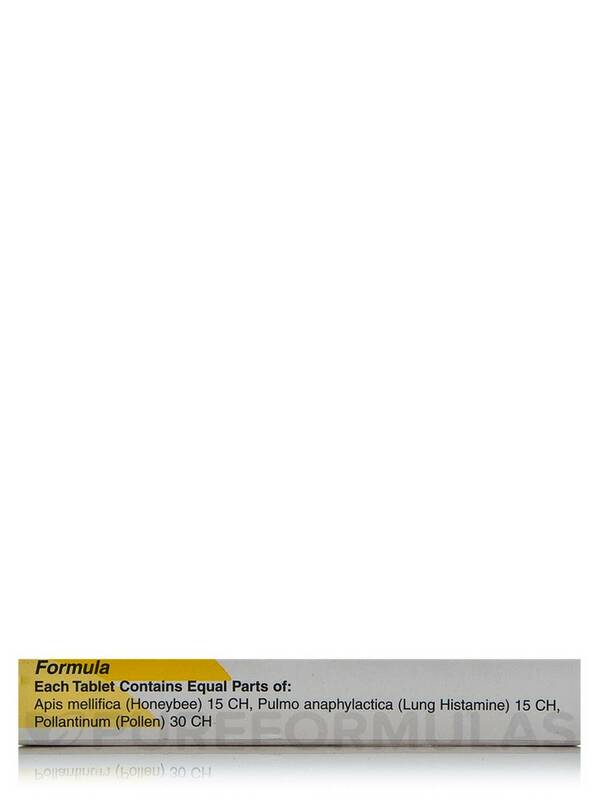 Repeat if symptoms reappear‚ or if chronic‚ take one (1) tablet weekly for four (4) weeks prior to allergy season. Effective relief for seasonal allergies. 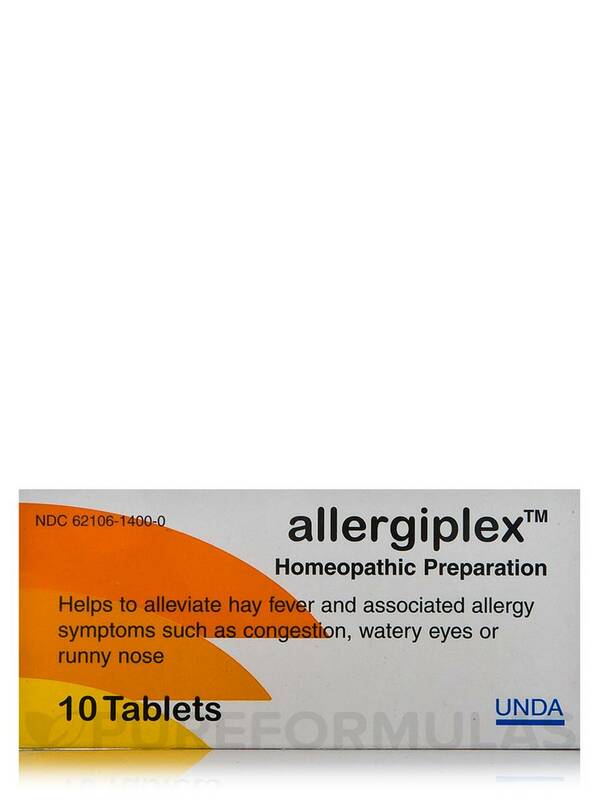 When hay fever kicks in or the pollen is just obnoxious use Allergiplex. It really works. My homeopathic doctor recommended Allergiplex for my son who suffers from pollen. I think it works better that other drugs and it has no side effects. It does reduce the allergy symptoms somewhat 50%. I like that Allergiplex actually works all day long. The only thing I dislike about Allergiplex is the cost. It is expensive. My family uses allergiplex for spring allergies and it works great! Once per week for about 4 weeks before allergy season hits is also great as a preventative. This spring my dog has had really bad allergies - even the hair around her nose was starting to fall out and her skin was pink from rubbing it in the carpet. I called Serroyal and they said I could cut the pills in half and give it to her once per day then taper off after she got better. She is doing so much better and her hair and skin are back to normal - it really works and is safe to use! Allergiplex by Seroyal has really helped with my allergies without drying me out.